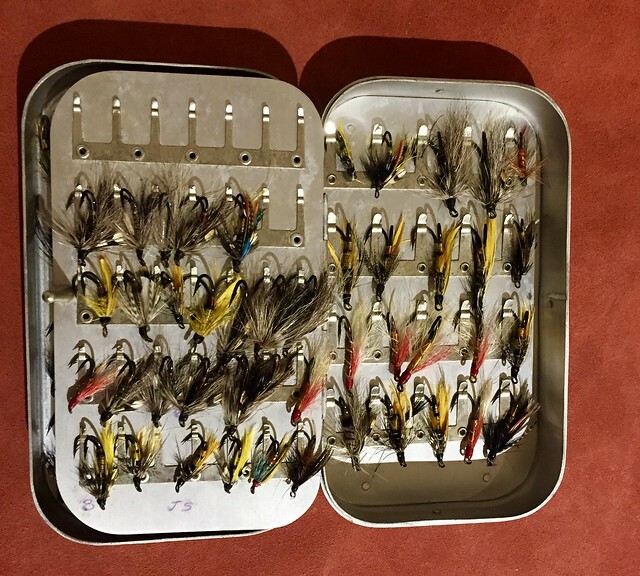 Here are a couple of Otto Zwarg fly reels from Florida. 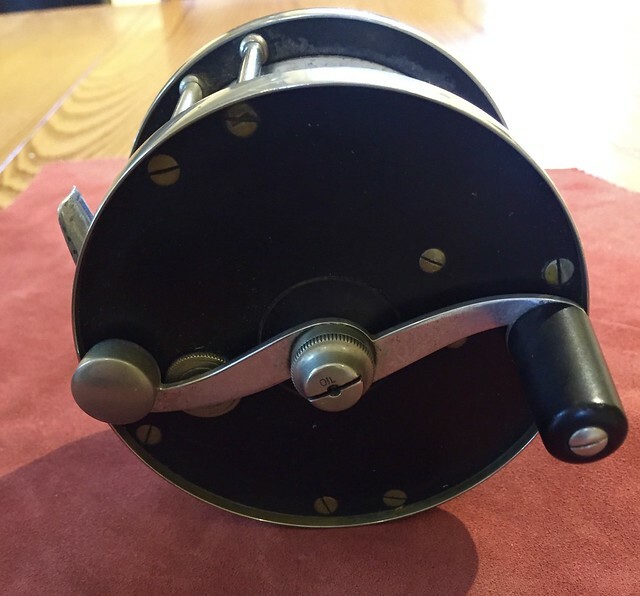 The first is this rather scarce Zwarg Model 400, 3/0 Laurentian 2:1 Multiplier Salmon Reel. 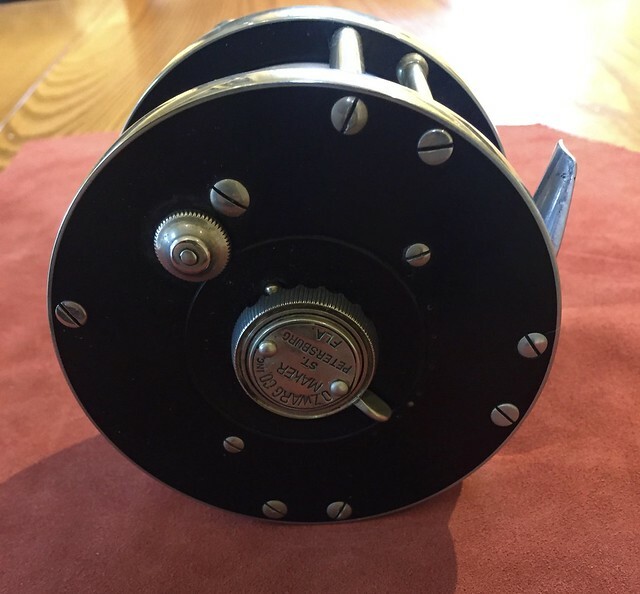 This reel was made in Florida in 1953 and 21st reel made that year, it is in original condition with blemish-free side plates, 7-point drag, clicker button on the back plate, and S-shaped handle. 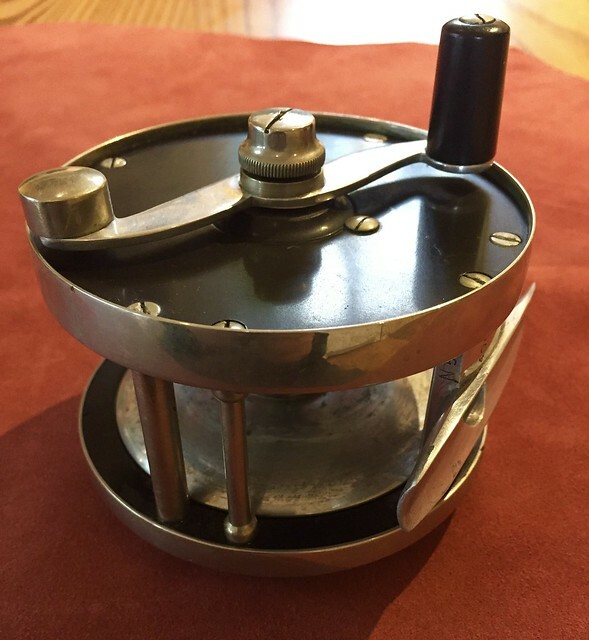 The nickel silver rims have light tarnish and the reel could use a cleaning but I'd rather leave that to it's new owner, several screw heads show some use but could easily be dressed. The spool is tight and one edge of the reel foot has been filed on the front. RHW. 3 5/8" x 1 7/16". 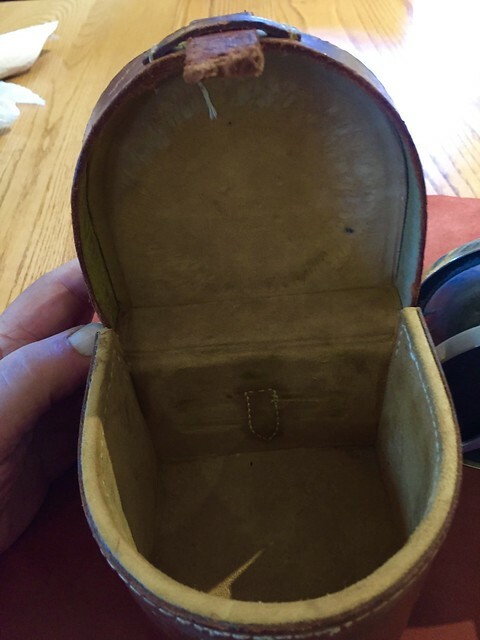 Accompanying the reel is the original hard block leather case marked 3/0 and while it has some staining the leather shows no sign of rot and the stitching is tight with no fraying. A wonderful vintage Zwarg that can be fished for generations to come. Asking $2750 OBO Payment in the form of US postal Money Order or Bank Check preferred but contact me to discuss an option of your liking. 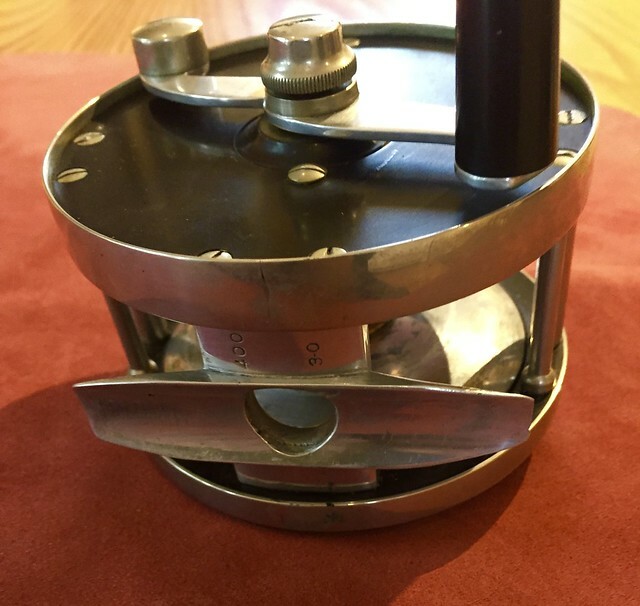 Reel will be shipped per your preference of carrier insured. I have no problem shipping this worldwide but since this is being sold to settle an estate I can't have it returned, please look at the extensive photos which should have you see the very nice condition this reel is in free of cracks or bulges of the hard rubber side plates, if you have further questions please feel free to contact me via pm or email me, my email is in my profile. 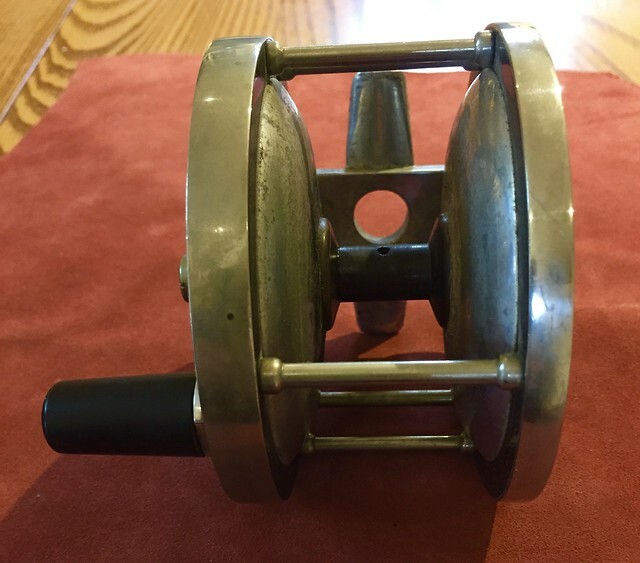 The second Zwarg reel from the same estate is this Zwarg Model 300, 4/0, Saguenay. Made in St. Petersburg, Florida, has the 7-point drag, S-shaped handle, and sliding anti-clicker button. Both plates are crack free, several screw heads show some use but could be dressed, the inside of the spool shows having had salt on it at one point but it is not corroded or have pit marks, with some elbow grease and TLC it should look much better. RHW made in 1959 53rd reel made that year. 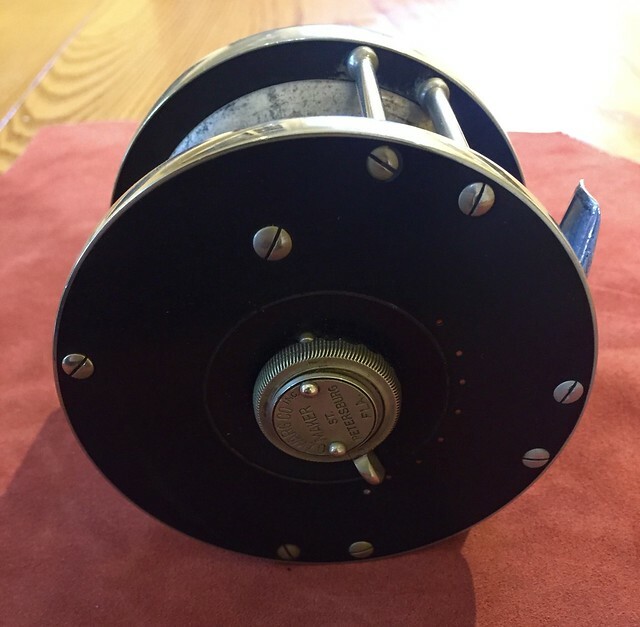 A great single action salmon reel ready to fish. 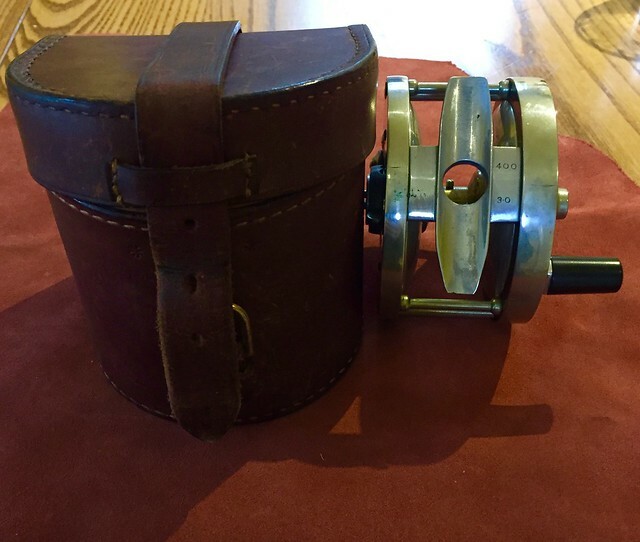 This reel also comes with what may be an original hard block case but the front of the strap has broken off from dry rot, the rest of the case has none and a new strap could be made by a proper leather smith. Asking $2300 OBO same payment and shipping as first reel. 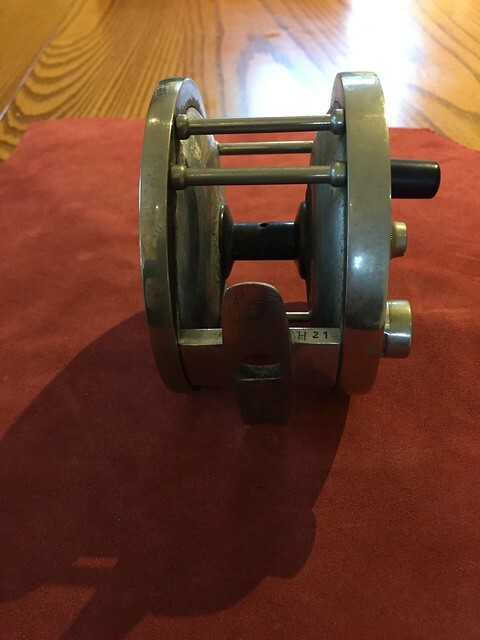 To go along with these reels is an early marked Wheatley Silmalloy Metal on the box face and made in England on top side. 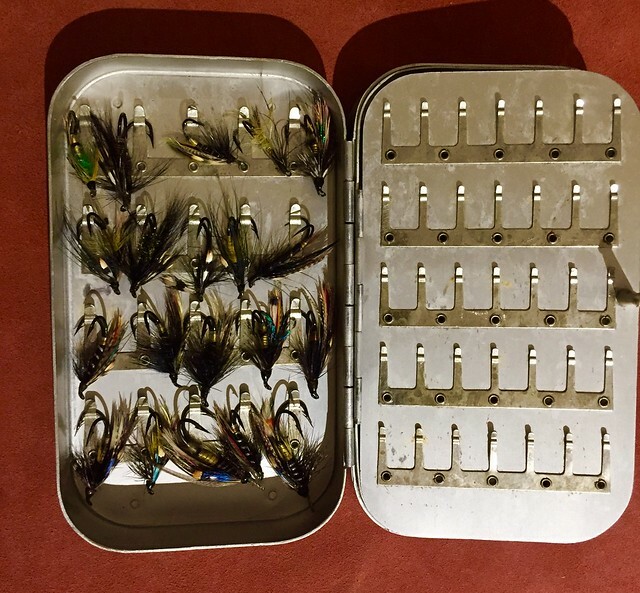 Has a hinged interior leaf and a total of 124 clips with 62 double hook salmon flies. 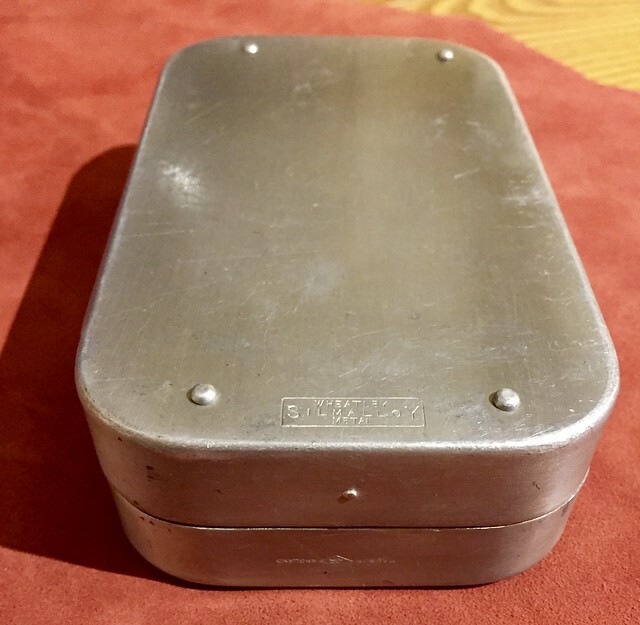 Box measures 6 x 3.5 x 1 5/16 inches. 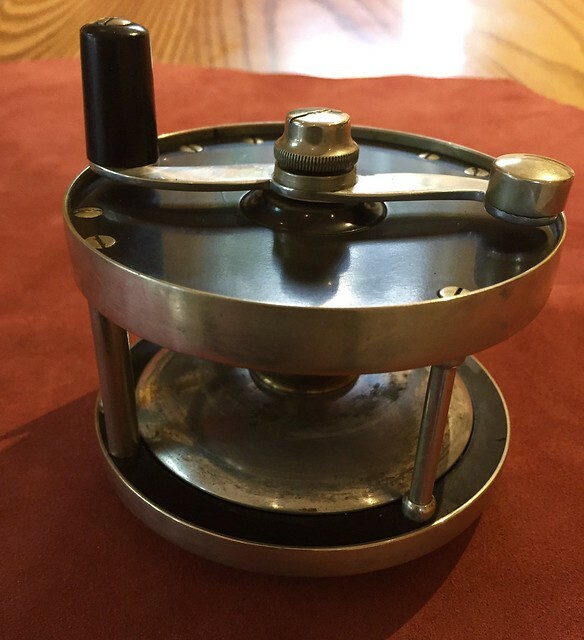 Asking $175 with same payment and shipping as the reels, will combine shipping if you buy a reel and the fly box.